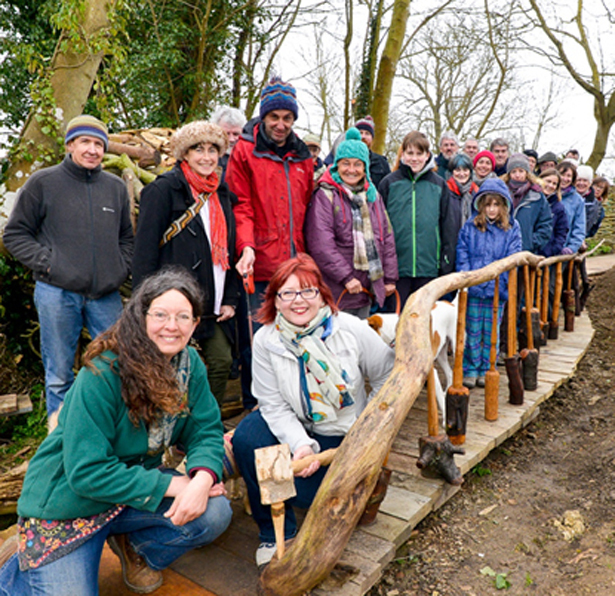 It is the time, energy and expertise of local volunteers that underpins everything we do at Orchard Barn - from conservation projects in our traditional orchard, work on and around the barn, to helping to renovate local woodland. Whilst OBee derives some of its income by offering paid-for training courses, it relies heavily on grant-funding and volunteers to maintain and develop its premises and promote its ethos. To secure grant funding – and indeed to comply with company legislation - we have to demonstrate not only our technical credentials, but also our commitment to the range of people-related policies expected of a modern organisation. Awareness of, and adherence to, such policies is essential, so we require all our on-site volunteers to undertake appropriate training and regular refreshers. Volunteers are the lifeblood of our community and we aim to attract like-minded individuals to join us and share our work. It is important that we welcome new volunteers and introduce them to our style of working through hands-on experience. We feel this is best achieved through undertaking enjoyable tasks alongside established volunteers. Hence we ask all existing volunteers to support us by joining in a light-hearted half-day session following the induction training. We view a commitment to take part in such events as an essential part of being a member of the OBee community.